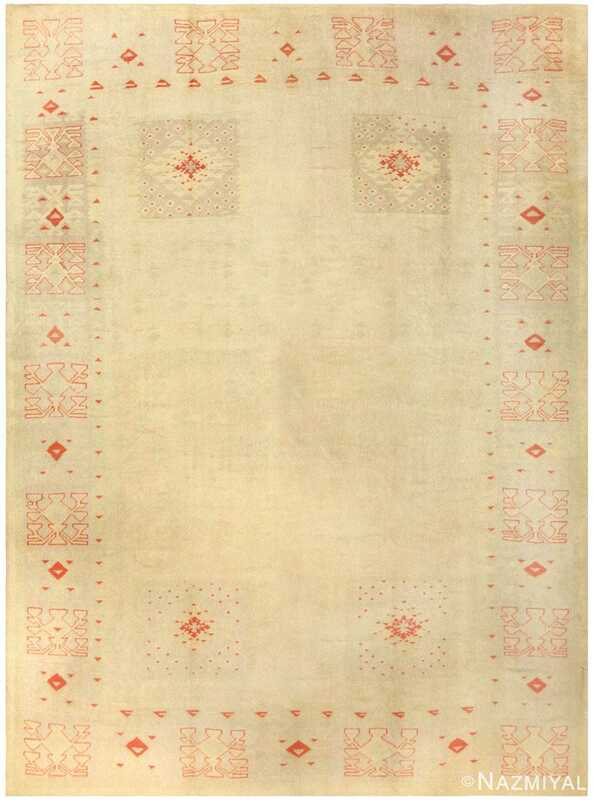 Vintage French Art Deco Rug by Frédéric Marius de Buzon 49008, Country of Origin / Rug Type: French Rugs, Circa Date: 1920 – True to the colorful and pronounced style of French Art Deco rugs, this masterpiece uses stark colors and strong lines of motion and action to define the presence within. Beautiful flowers rendered in fall colors of red, orange and yellow are scattered tightly together around at the heart of this French rug. 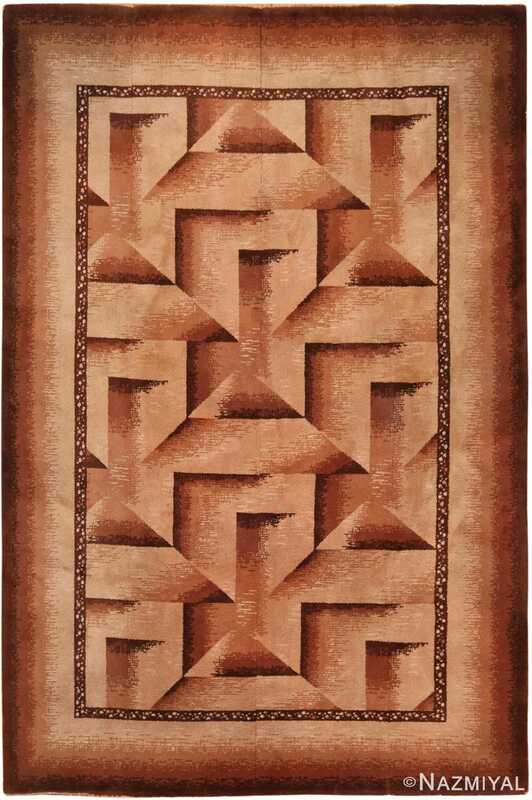 This cluttered pattern of beautiful petals spreads outward from the vintage rug’s core, defining the background with its beautiful warm tones. 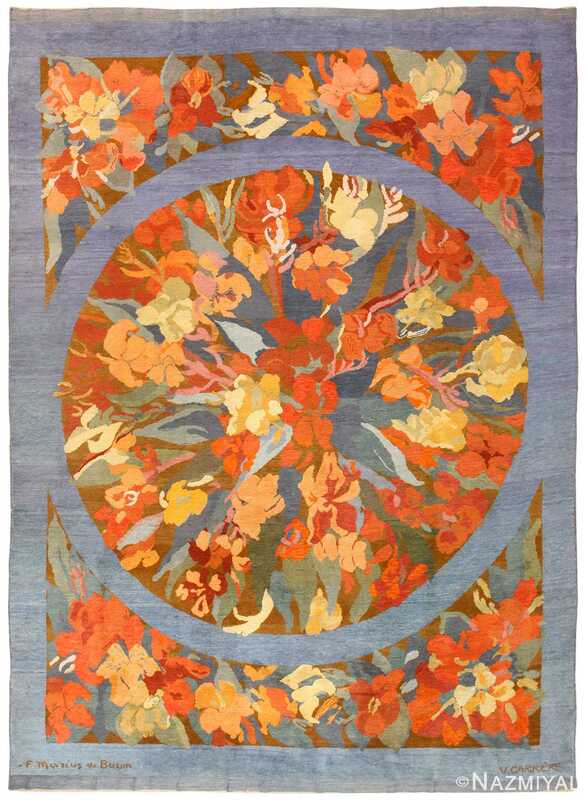 These colors are offset by gentle instances of blue and green, and the entirety of the backdrop stands out against the blue set as a border around the edge of the rug and around the center in a circular form.